① Skin and rough-cut the carrot. Rough-cut the bell pepper. Remove the strings from the celery and rough-cut. Partially skin the cucumber and rough-cut. Remove the stems from the cherry tomatoes. Dip them in boiling water for 5 seconds, transfer to cold water, and skin. Use the back of a knife to mash the garlic. 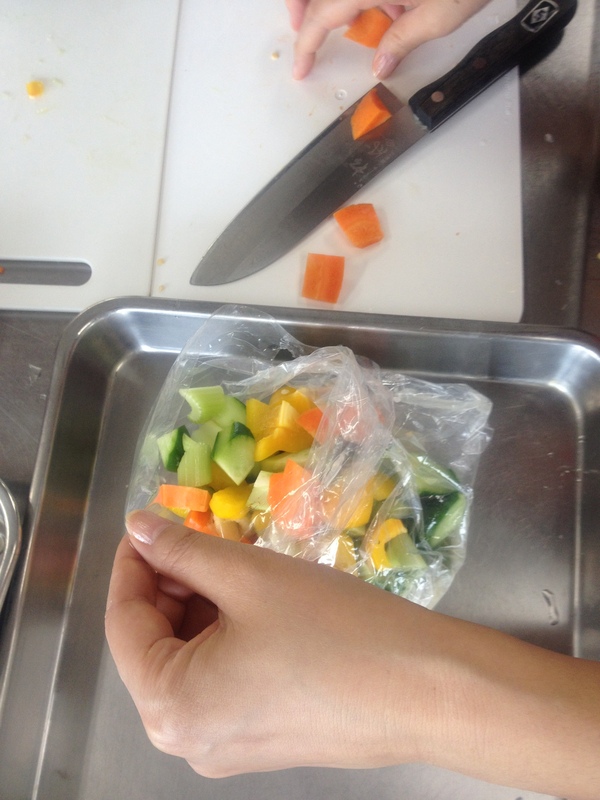 ② Add the vegetables and pickling solution to a plastic bag. 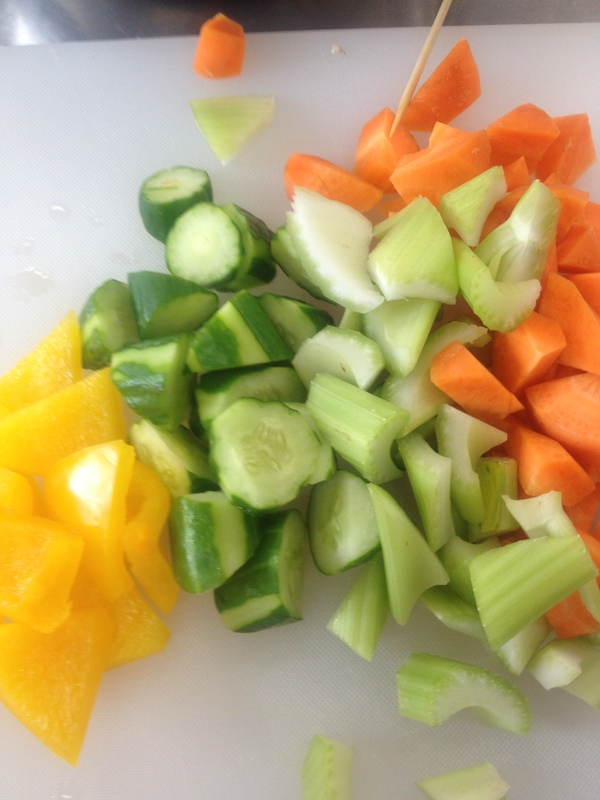 Massage the bag a bit and then place the bag in a refrigerator for at least 1 hour to let the flavors mix.